Defenders of Ardania: The Conjurer’s Tricks provides a new collection of units, towers and spells that can be used to conquer your opponents. 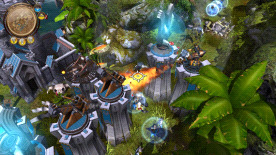 Use new tactics and strategies to outwit the enemies. This collection comes with one new unit, tower and spell for each race.